According to the Oxford Dictionary the word holocaust means "to sacrifice oneself completely". 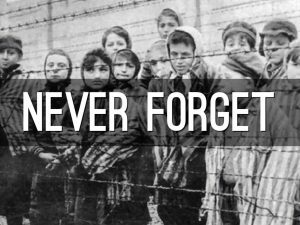 According to the Etymology Dictionary the word holocaust comes from "sacrifice by fire, burnt offering," from Old French holocauste (12c. ), or directly from Late Latin holocaustum, from Greek holokauston "a thing wholly burnt," neuter of holokaustos "burned whole," from holos "whole" (see holo-) + kaustos. The root -holo means "whole, entire, complete". From Greek -holos means the same. Other words with the root -holo are Holocryptic, hologram, holograph. The root -caustic means "burning, corrosive," from Latin causticus "burning, caustic," from Greek kaustikos "capable of burning; corrosive," from kaustos "combustible; burnt". Other words with the root -caustic are Catacaustic, causticity. 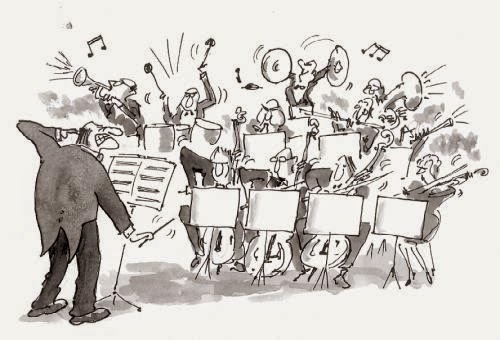 According to the Oxford dictionary the word cacophony means: "A harsh discordant mixture of sounds." According to the Etymology dict. the word cacophony comes from Greek kakophonia, from kakophonos "harsh sounding," from kakos "bad, evil" + phone "voice, sound," from PIE root "to speak, tell, say"
According to Wikipedia the word cacophony means "harsh, often discordant sounds that are often meaningless and jumbled together." The root caco- means "bad, ill, poor", from Latinized form of Greek kako-, from kakos "bad, evil," considered by etymologists probably to be connected with PIE *kakka- "to defecate". Some words refered to caco- are cachexia, cacoethes or caca. 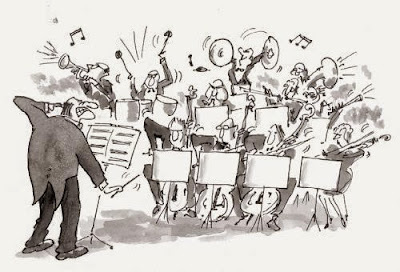 Some words refered to -phony are simphony, euphony or homophony. According to the Oxford Dictionary the word Hydrotherapy means: "The use of exercises in a pool as part of treatment for condition such as arthritis"
According to the Etimology Dictionary the word Hydrotherapy comes from Greek "Hydro", from Greek Hydro-; That means: "Water" and "Theraphy", from Modern Latin therapia, from Greek therapeia that means: "Medical treatment or disease". Other words refered to Hydro- are: Hydrogen, Hydrosphere and Hydrodynamic. And belong to -Theraphy are: Radiotheraphy, Hypnotherapy and Aromatherapy. We can see the use of the word Hydrotherapy in this article. According to the Merriam Webster Dictionary, a barometer is "an instrument that is used to measure air pressure and predict changes in the weather." 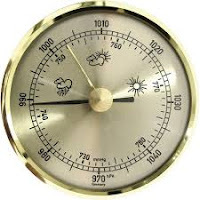 According to the Etymonline Dictionary, barometer " comes from Greek baros- "weight," from suffixed form of PIE root gwere- "heavy" + -meter" word-forming element meaning "device or instrument for measuring;" commonly -ometer, occasionally -imeter; from French -mètre, from Greek metron "a measure". Some words that come from baros- are: bariatric, isobar and bar. Some words that come from -meter are: chronometer, perimeter and gasometer.